Category: Books, Self Help & Personal Development Tags: fatherhood, male identity, men's groups, men's self-help, modern men, relationships, self-development, self-help, spirituality. 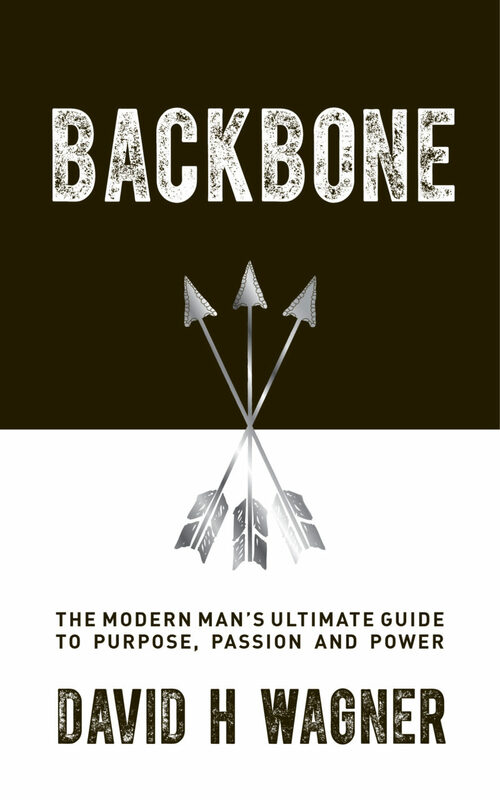 The Modern Man’s Ultimate Guide to Purpose, Passion and Power. So many self-help books on the market have a feminine edge and do not speak directly to a man’s masculinity. The message that men have been given so far is that they have to get in touch with their feminine side if they want to embrace change. This book blows this theory out of the water and is a total game changer. It enables men to transform entirely, working with their masculinity instead of against it. Straight talking, down-to-earth and humorous Wagner addresses the challenges that modern men typically face, asking the reader to join him in a series of profound self-examination exercises and questions covering life purpose, male identity, spirituality, self-limitation, sexuality, relationships, fatherhood and more. Every chapter is highly practical and also includes observations and examples from David’s own life journey as well as insights gained from the many clients and groups he has worked with over the years. Men all over the world will be saying: ‘Finally a book that actually speaks to me in my language’. ‘David Wagner is a transformational teacher and dedicated leader, on a committed path of service, guiding others to awaken to their inner wisdom and authentic power.’ Gabrielle Bernstein, New York Times bestselling author of Miracles Now. David H Wagner is a spiritual teacher, men’s group leader, and proud father who has dedicated his life to the exploration of personal transformation. He travels widely leading workshops and retreats for people from all walks of life from all over the world. He is the host of The Whole Manchilada Podcast, is a featured meditation teacher on yogaglo.com, and serves on the faculties of Kripalu and Omega Institutes.